Need a car charger that isn’t slow, is from a reputable company, and can be had for the price of your venti double shot caramel macchiato? if you head over to Amazon today, you’ll find two AUKEY car chargers with Qualcomm Quick Charge 3.0 for absurdly low prices, thanks to coupon codes. 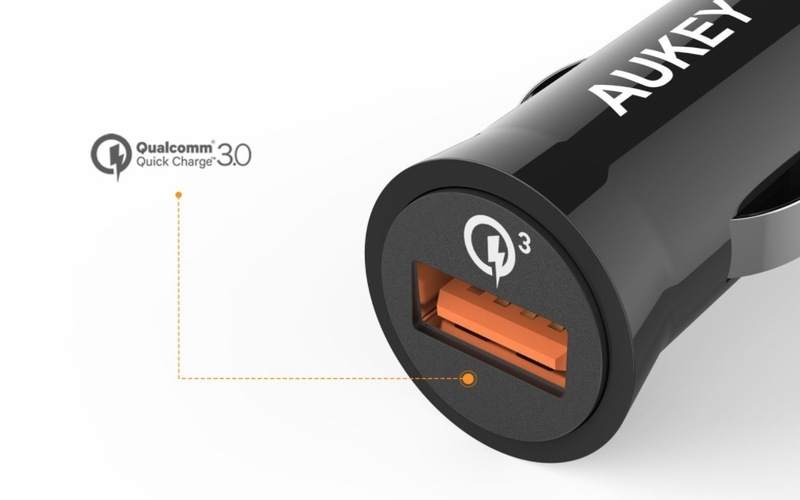 We’ve got the single-port AUKEY QC 3.0 car charger (picture above) that drops from $13.99 to just $5.45, or you can upgrade to a 3-port AUKEY QC 3.0 car charger with USB-C port for $7.40 (down from $19.99). Both products include Prime shipping. To get the discounted price, enter the codes below at checkout. I’m not sure you’ll find a better deal in tech today.